One lady owner, Mini service history, October 2019 Mot. Finished in Metallic Pure Burgundy with Gold Roof and Mirror Caps. Fitted with a pepper pack, this Mini One Diesel is finished in Midnight Blazing red with body coloured mirror caps with black cloth trim. It has a big specification. It is fitted with power steering, visual boost, remote locking, electric windows and mirrors,climatic air con, Bluetooth, chrome line exterior/interior, tinted glass, isofix, fogs, cruise control, Bluetooth, day lights, rain sensor, 16" Black alloy wheels, Mini Mood lighting, USB - Aux - DAB - CD Stereo and more. Ready for a MINI adventure? 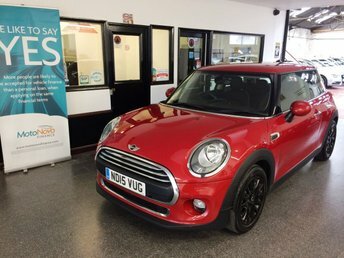 Pay a visit to Crossways Garage Ltd today and take a closer look at the full range of used MINI cars for sale in Halstead. Whether you're looking for a fun city runabout like the MINI 3-Door Hatch or a stylish cabriolet such as the MINI Convertible, our team is ready and waiting to help. We stock affordable used cars to suit every budget and you can buy with confidence as each one of our vehicles is thoroughly inspected before going on sale. 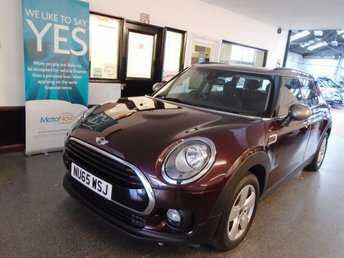 Discover more or arrange to take a test drive in the used MINI of your choice by contacting a member of the team at Crossways Garage Ltd today.